BARCELONA, November 23rd, 2016 – Since July 2015, Teclib’ surrounded itself with high qualified Partners known for their expertise and know-how on Open Source ITSM GLPi solution. In one year, the open source solutions Editor has shown its desire to expand internationally through the establishment of Partnerships across the world. Thus Teclib’ is proud to welcome six new Partners in its Expert Network around its GLPi Solution! We also would like to thank Infotel for the trust that they have shown Teclib’. Indeed, Infotel has just renewed its Gold Partnership for GLPi Network, and enters its second year of collaboration with the Teclib’ team. *GLPi is an open source software for IT Service Management (ITSM). It allows you to create and manage the inventory of all the assets of the company from a single administrative console. GLPi brings together the experts of Teclib’ and a whole community of developers from all over the world, that contribute together to the development of the solution. *GLPi Network is the distribution of the solution by all our Partners. It is a network of IT experts that federate the deployment and integration of the GLPi solution at an international scale. 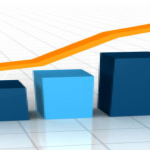 Becoming a Partner means contributing to the development and deployment of innovative solutions. To be a Partner is to have access to a large number of advantages in order to optimize your profits, to have a privileged access to the technical development team, to expand and consolidate your customers’ network, and many other benefits. 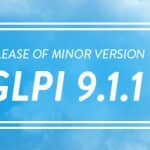 Check out the new minor version GLPi 9.1.1!